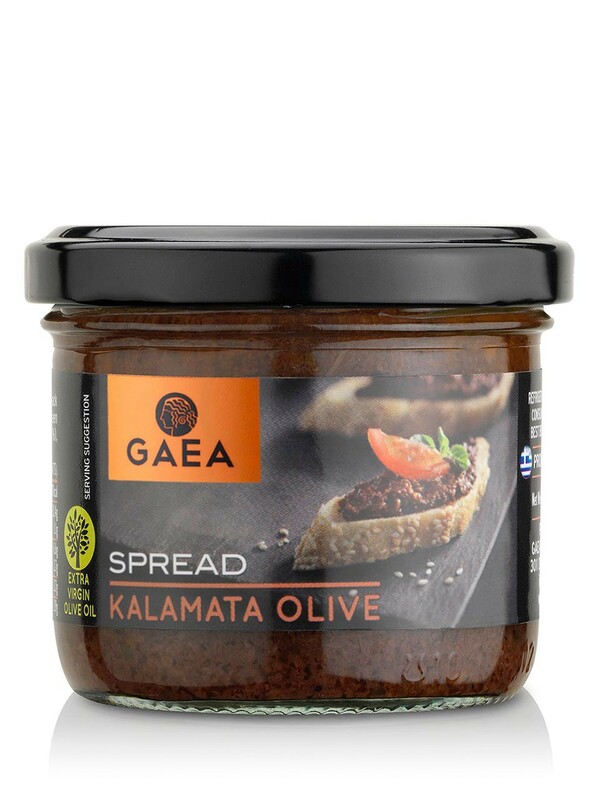 GAEA Kalamata Olive spread is a classic meze fingerfood from the Greek mediterranean table which can be served as dip with Greek rusk, crackers, or vegetables. 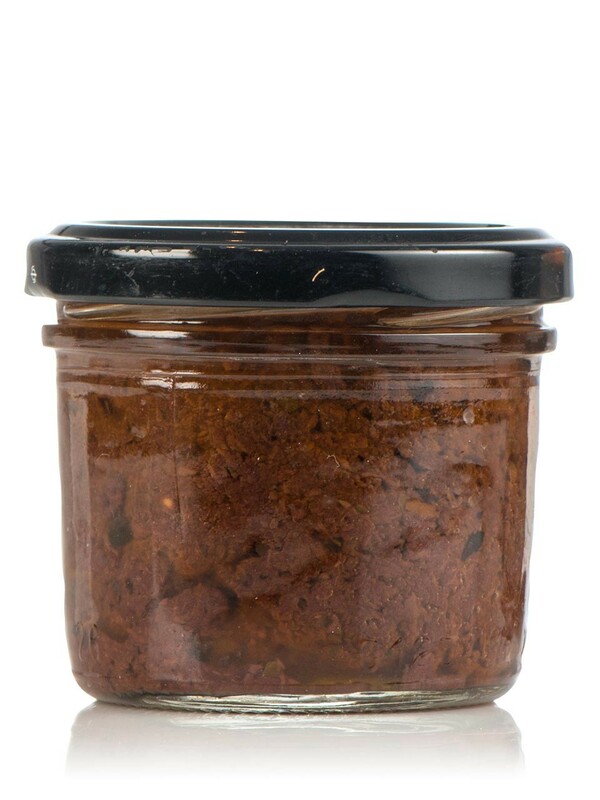 Spread on bread or sandwiches. Toss with pasta or use to season fish. Stuff cherry tomatoes and avocado halves. Pates are spreads or thick in consistency sauces, in which we “dip“ bread and breadsticks, slices of vegetables, seafood or small pieces of meat or fish. Alternatively, we can spread them on bread, in a sandwich, on crackers, on baked potatoes or use them as dressings in salads. Most commonly served as an appetizer, a snack or a tasty side to a drink. Gaea was founded in 1995. Our name didn’t come about by accident; in ancient Greek mythology, Gaea was Mother Earth—a symbol of fertility and the goodness of the earth. As such, our vision has been to introduce the world to the benefits of the Greek Mediterranean diet by combining exquisite Greek products based on olive oil with our penchant for tradition and simplicity. 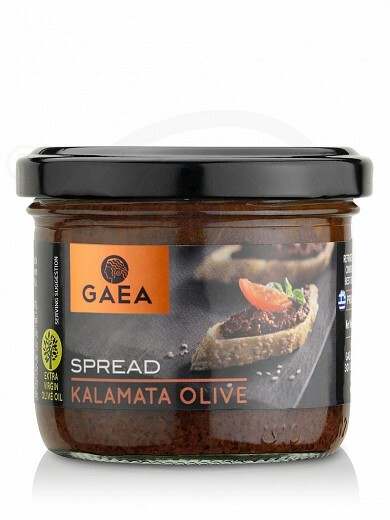 Gaea is much more than elegantly-packaged wholesome foods and fine ingredients. It is a genuine philosophy of life, at the core of which is a deep appreciation for nature. We’ve always favoured non-aggresive harvesting over large volumes and high yields. And although we invest heavily in research and employ cutting-edge technology, we never stray too much from time-honoured practices. Our goal is to become international ambassadors not just of top-quality olive oil products, but of a better, healthier, more fulfilling way of eating—and living. Kalamata is one of the largest cities in southwest Peloponnese. It is the capital city of the prefecture of Messinia and is also the port of South mainland Greece. It has built at the foot of Mount Cart (edge of Taygetos) in the heart of Messinian Bay, it has Mediterranean climate with warm winter and mild summers. Kalamata is the second largest city in Peloponnese ( the first one is Patra) and its story begins from the period of Homer. In particular, Homer had mentioned Fares, an ancient town which had built around where it is now the castle of the city. The most important event of the long history of the city is the liberation from the Turks, on 23th March of 1821. 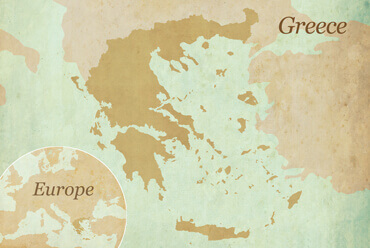 In the end of 19th century has been built the port of Kalamata, which operates until today. The city is showing considerable growth and acne. It has been characterized as the Marseilles of Morea and it is an important urban, economic and commercial center of the region. It is also the administrative center of the prefecture of Messinia. The economy of region is based on the agriculture. It is indeed the Promised Land. 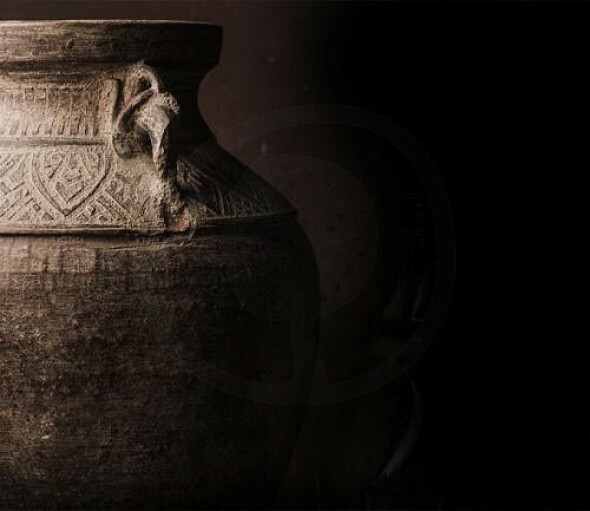 Almost everything can be produced in Messinia. From the famous Kalamata olives and extra virgin Olive Oil , up figs, raisins, vegetables, citrus, rich aromatic wines and delicious flavored vinegars. It could not be mentioned in herbs ,which grown in the region. Taygetos, the imposing mountain of Messinia, is one of the richest and most interesting ecosystems of Europe with a large number of plants that grow only there. Balm for pain, fragrant oregano for food and mountain tea are some of the small wonders of Messinian nature. And all these without chemical or other treatment and with all the natural flavor and their amazing properties. 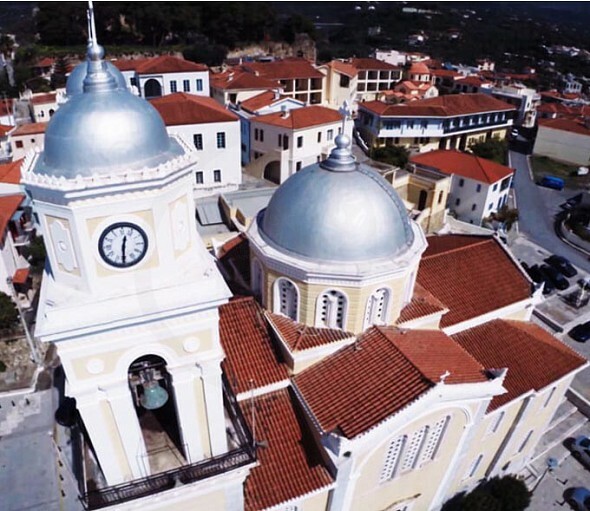 Kalamata except from a rich gastronomic destination attracts an indeed large number of visitors due to its cultural activity and its wonderful landscapes. Amazing sandy beaches, pebbled coves, proud villages, Byzantine churches, fertile land and mountains give the promise for unforgettable holiday. Login to earn 2 Olives for purchasing this product. 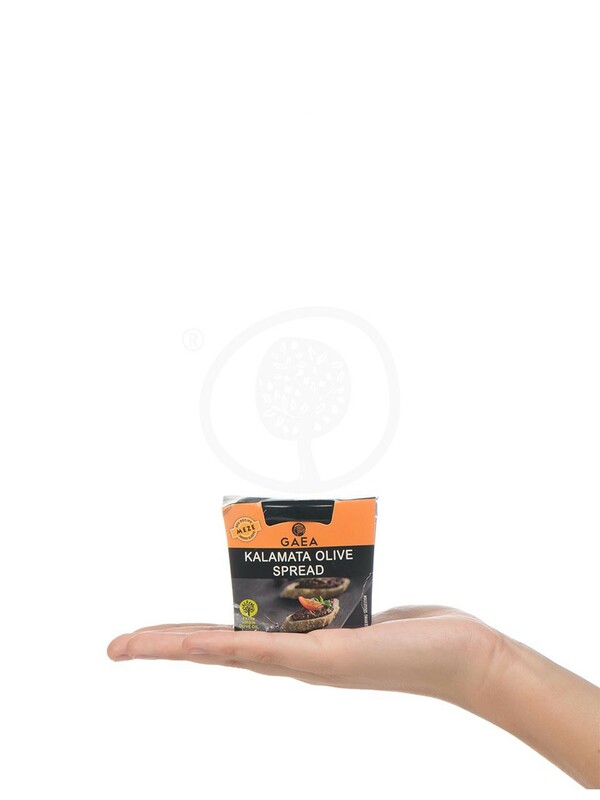 A strictly authentic Greek meze recipe made by the famous Kalamata olives and top quality Extra Virgin Olive Oil. Flavored with natural ingredients such as garlic, basil and oregano.